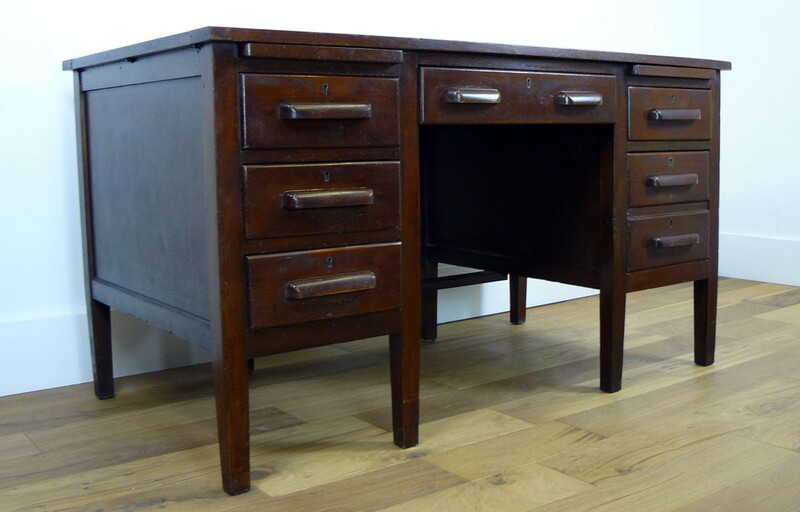 This one is presented in great historic order with a good stylish look and of an accommodating size for its layout. 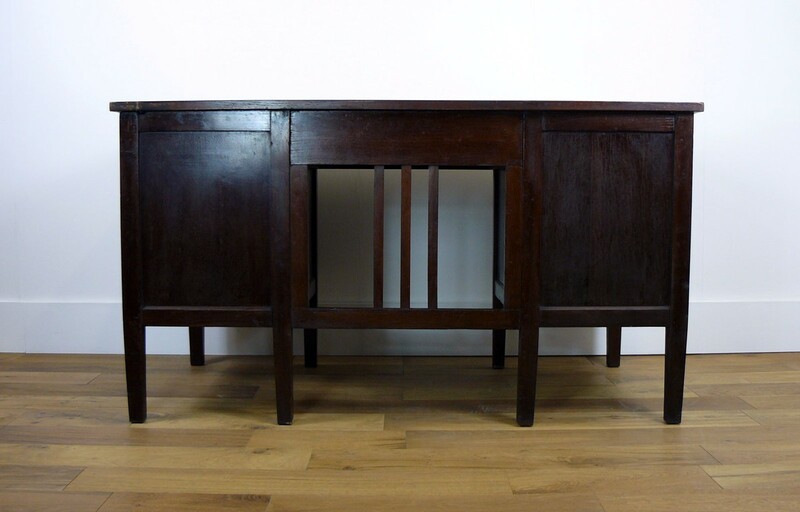 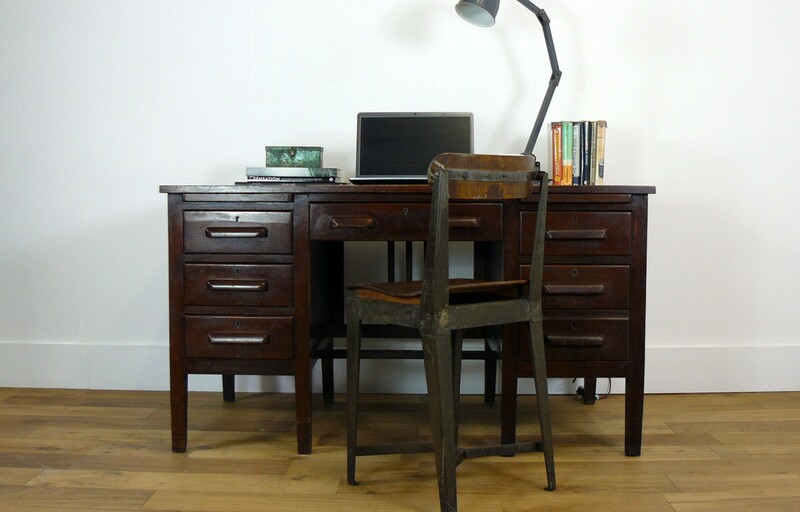 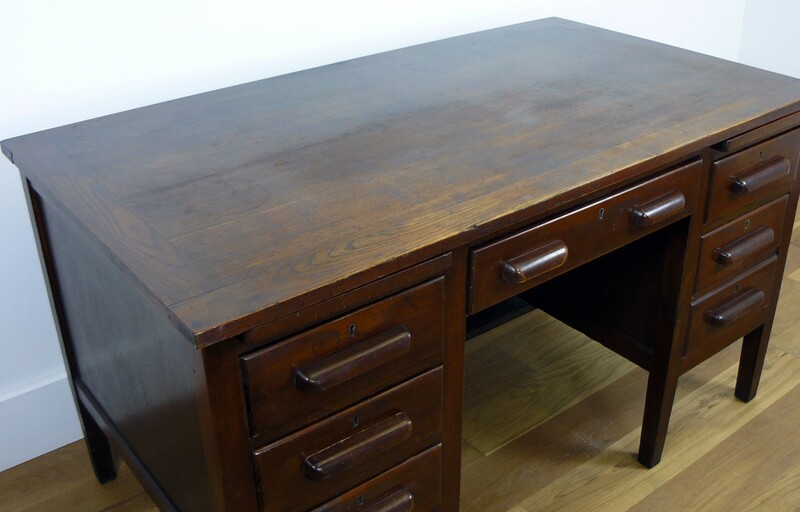 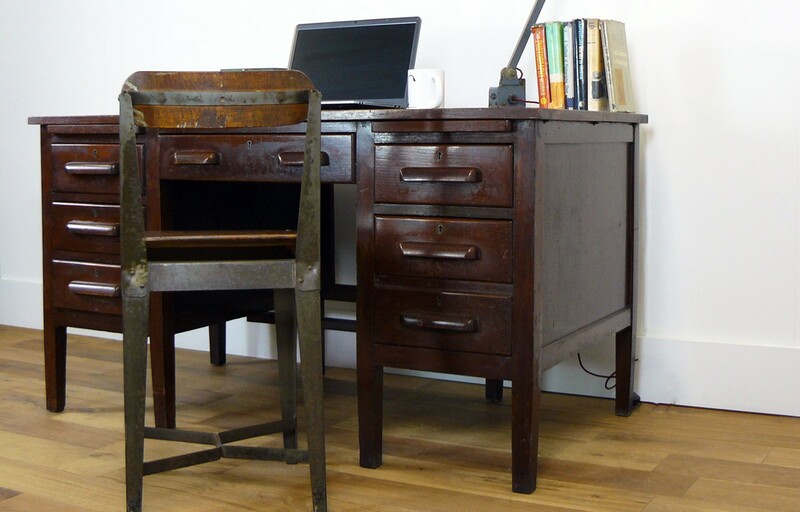 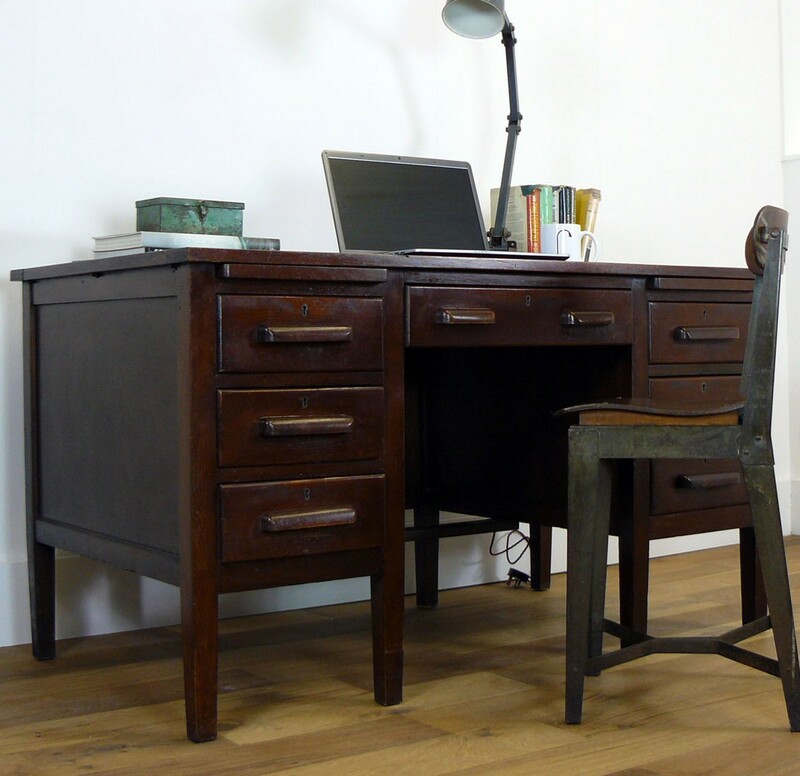 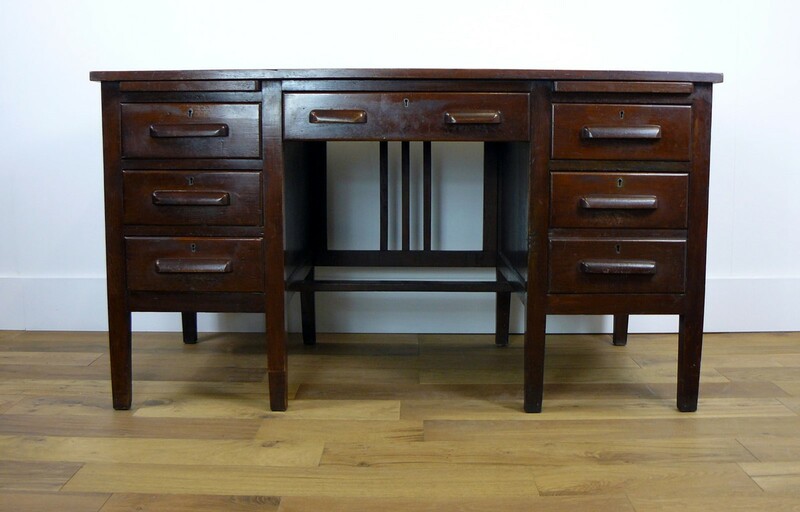 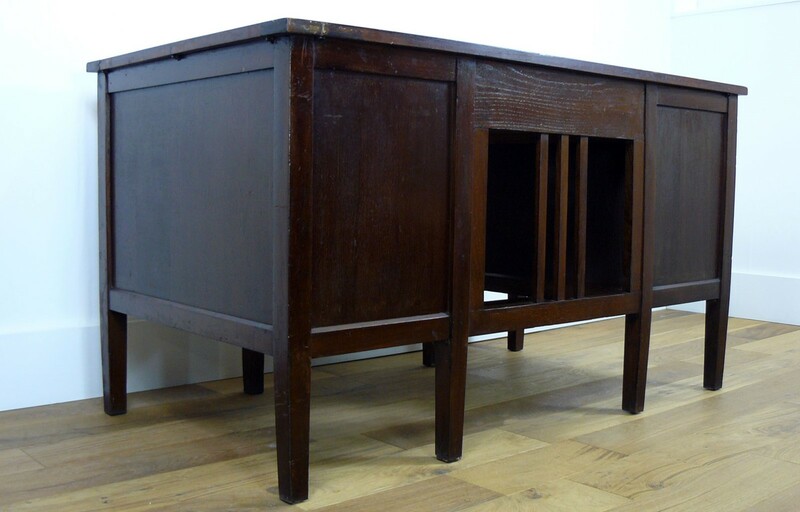 The twin pedestal oak desk with its flight of three drawers to one side, filing drawer topped by a single drawer on the other side with generous centre drawer is displaying its past well. 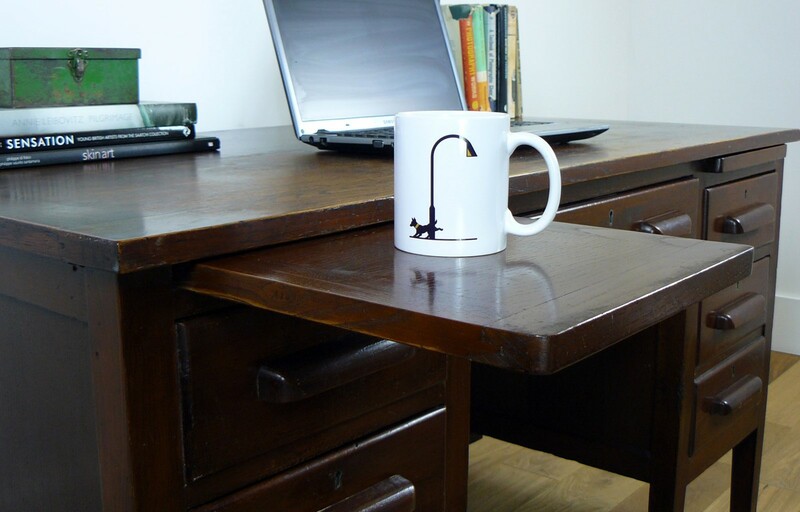 The two pull out slides are in place over the drawers - handy to perch a cuppa on! 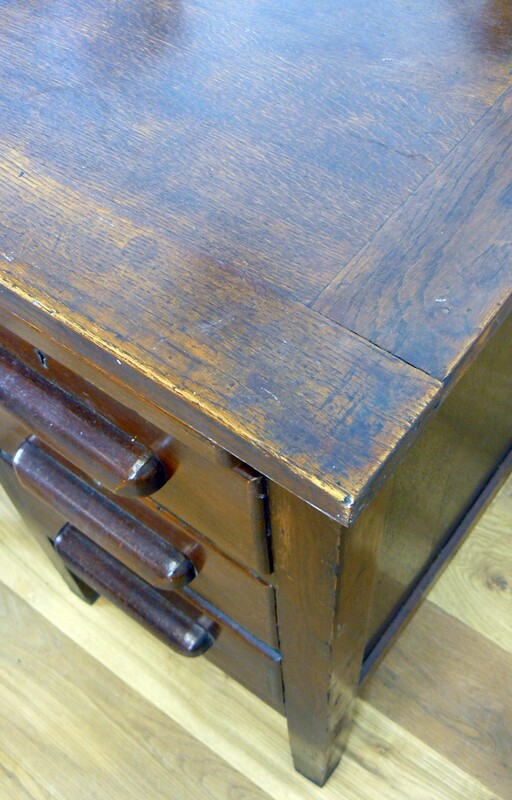 You are able to see its history – nice wear and tone to the top and neat classically era shaped handles. 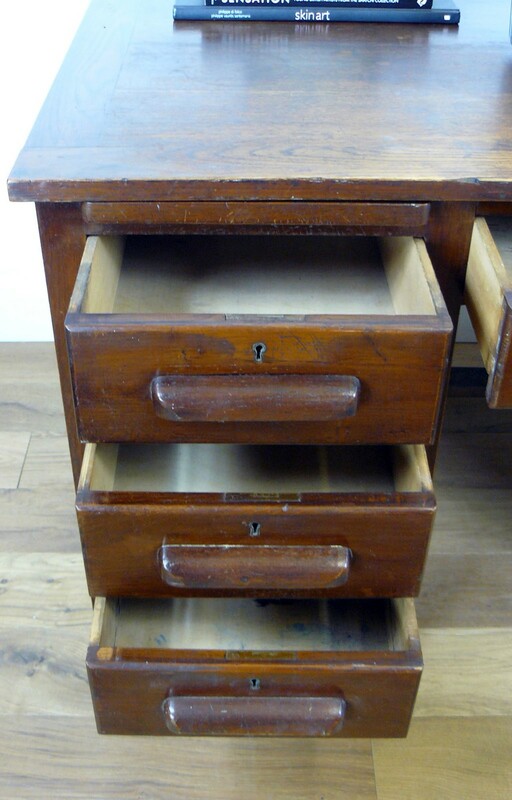 The frame is sitting firm on 8 legs, all drawers are running fine with ink marks internally but nothing fresh or visible from the outside. 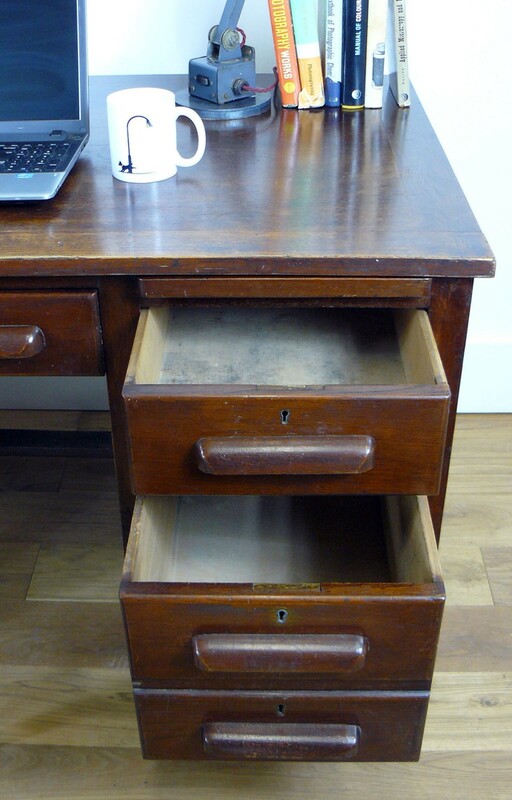 We have cleaned the inside, waxed the drawer runners and given the desk the once over in our workshop. 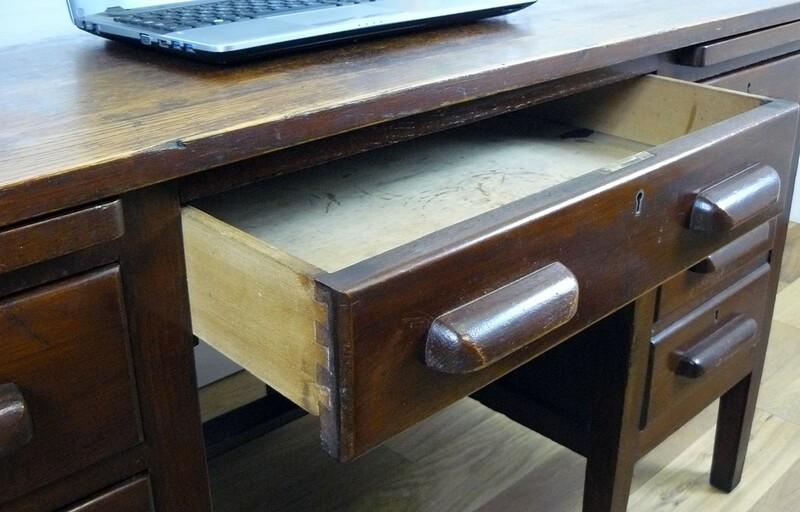 We prefer to wax our desks with a good quality product to seal in its history rather than sand away it’s past.